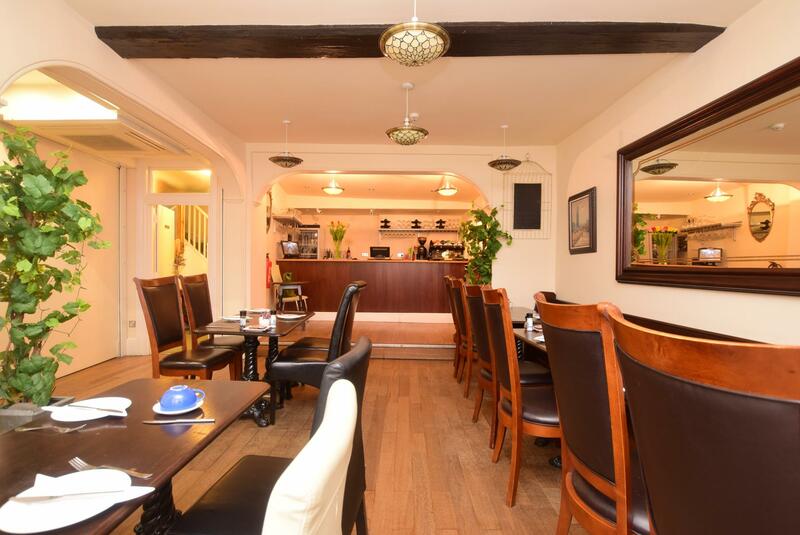 If your dream is to own and run a boutique hotel in the heart of Canterbury city centre that is steeped in history and abounding in character and charm, then the Sun Hotel should be top of your list. 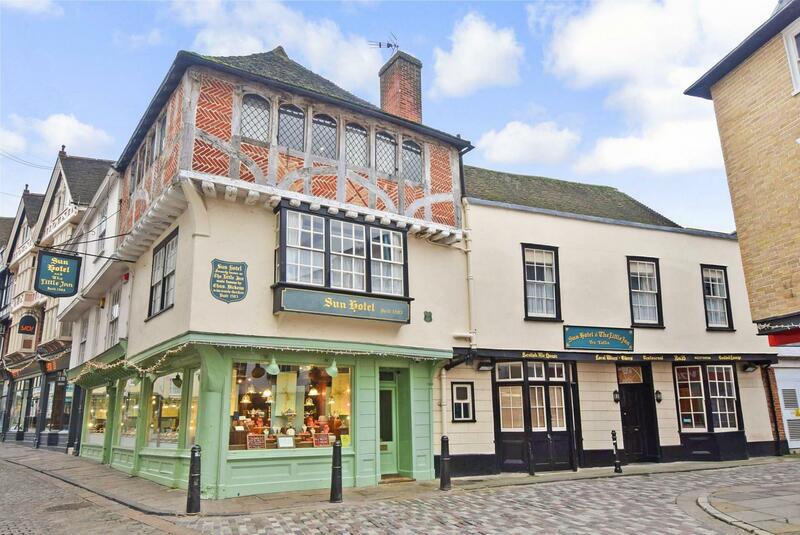 Originally built in 1503 this fascinating Grade II Listed beamed Tudor building is just a few steps from the main gate into Canterbury Cathedral and adjacent to the bustling shops and stores that surround the cobbled stone streets and Buttermarket Square. 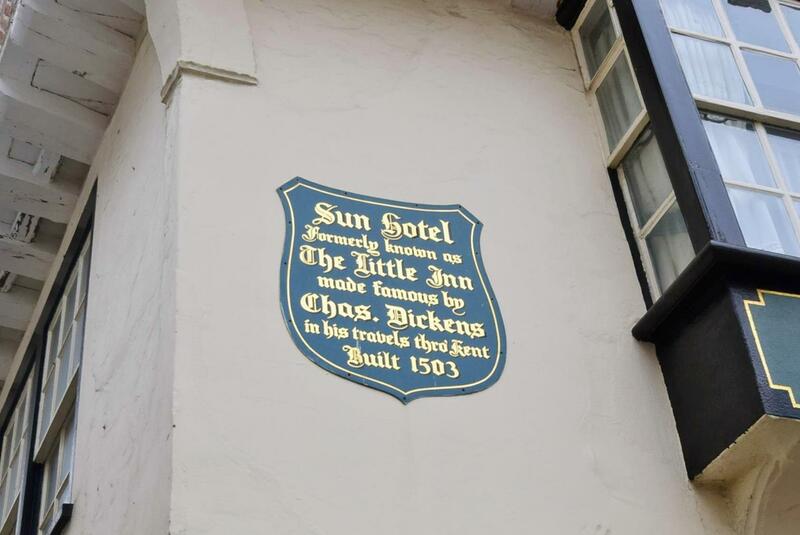 One of the most illustrious guests was Charles Dickens who made the hotel internationally renowned as Mr Micawber’s ‘Little Inn’ in his most famous book, David Copperfield. The building was restored by Debenhams in 1992 after being vacant for some 40 years and then extensively refurbished by the current owners in 2006 who have created a delightful and stylish hotel, bar and restaurant. 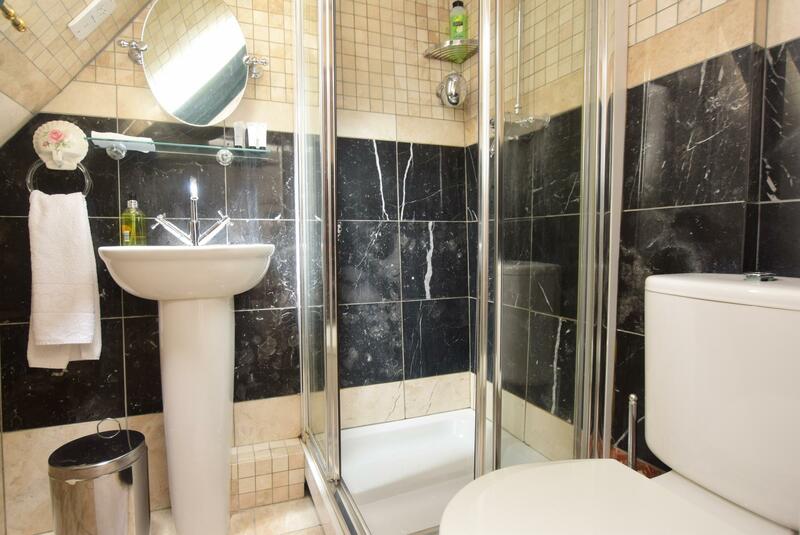 They renovated it from top to bottom with new plumbing, wiring, central heating and installed en suite bath and shower rooms and have run it as a successful hotel for the past ten years. The property incorporates a flying freehold with some of the rooms being above the exclusive jewellers next door and from the moment you see the external signature Tudor herringbone brickwork and beams together with the later Georgian multi pane sash windows you know that the interior will be fascinating. 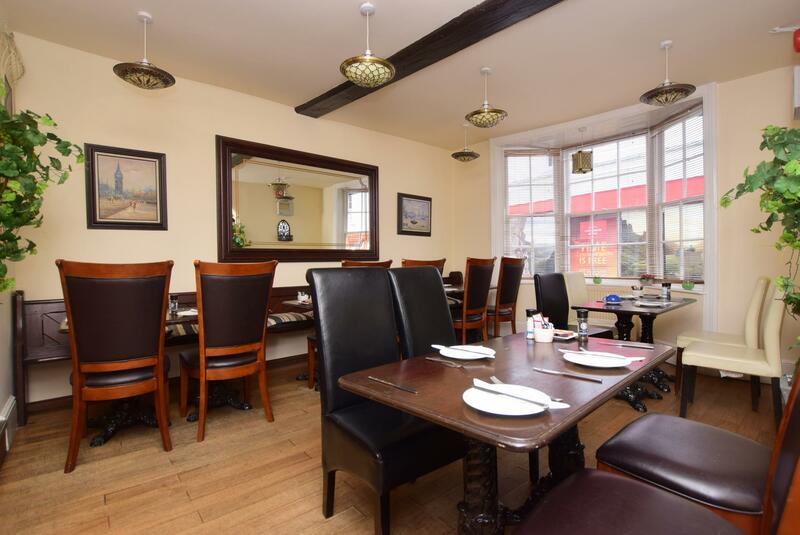 Once through the front door you are straight into a very large and welcoming dining area which has room for 20 plus covers. 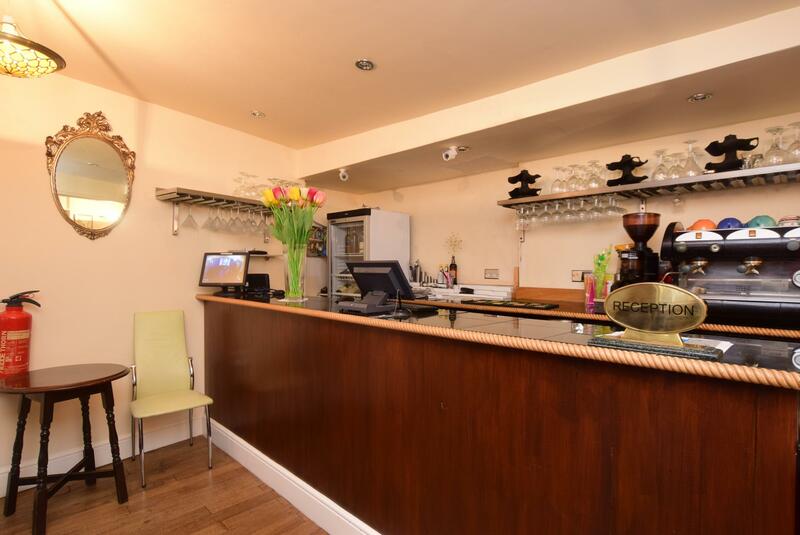 This is open plan to a very long bar and leads through to the cateringl kitchen and cloakrooms. 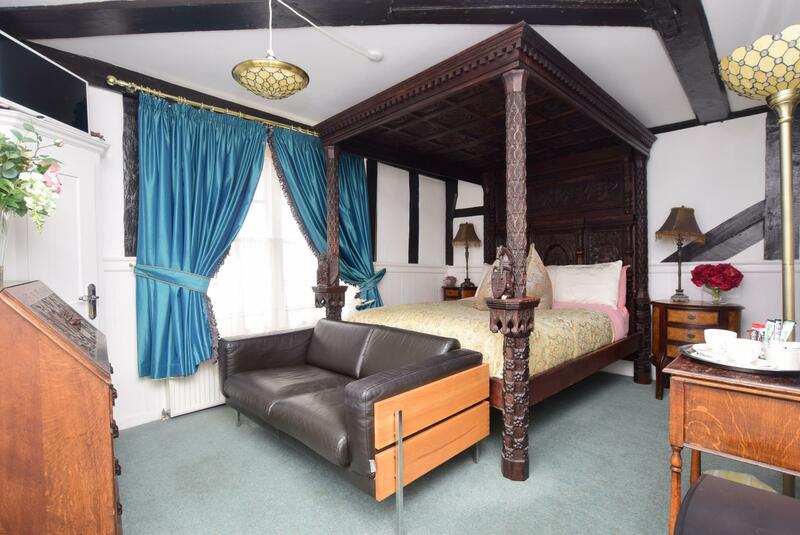 On the first floor there are historic wall and ceiling beams and five double bedrooms that are all individual in character. 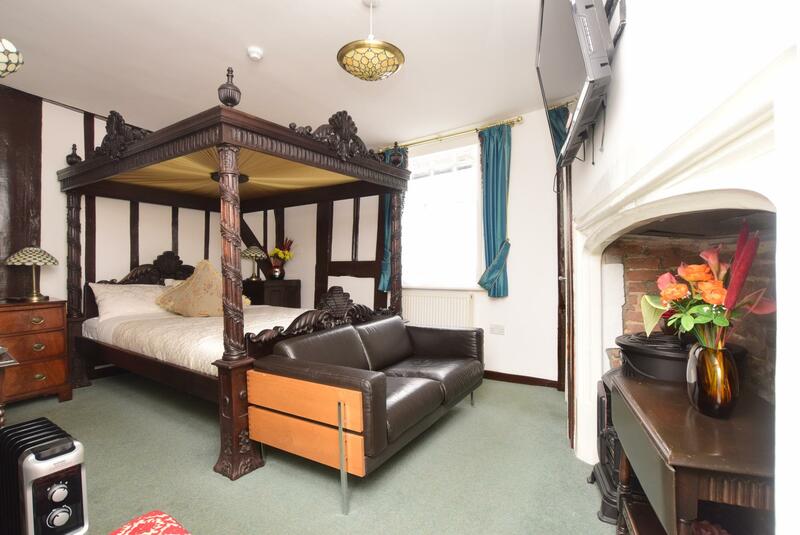 These include a magnificent suite with a very impressive carved four poster bed, a storage cupboard and an en suite Jacuzzi bath. 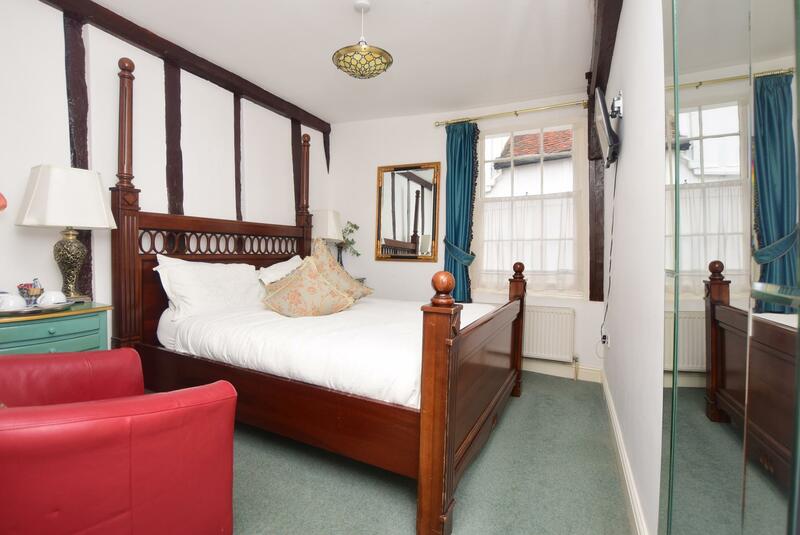 Another double bedroom, also with a carved four poster bed, beamed walls, a fireplace and an en suite shower room is where Charles Dickens is reputed to have stayed. 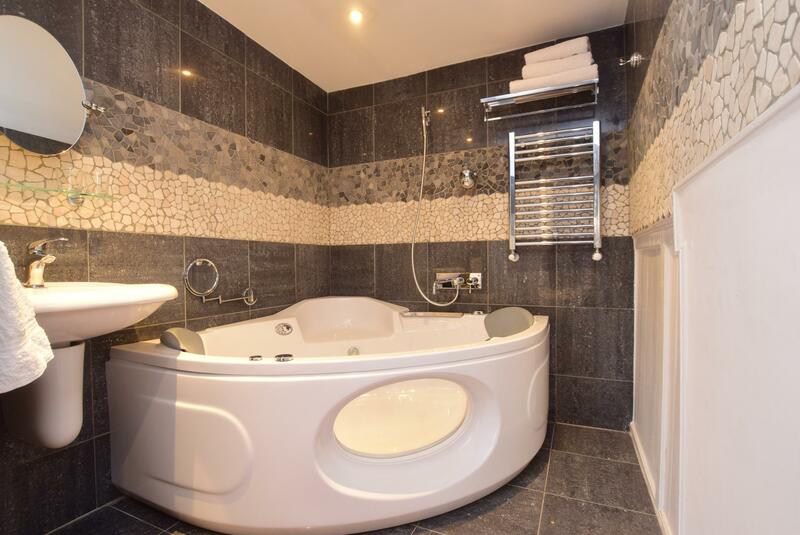 A third double bedroom has an en suite bathroom and a fourth has an en suite shower while the family suite includes a double bedroom and a second bedroom with bunk beds for the children and an en suite shower room. 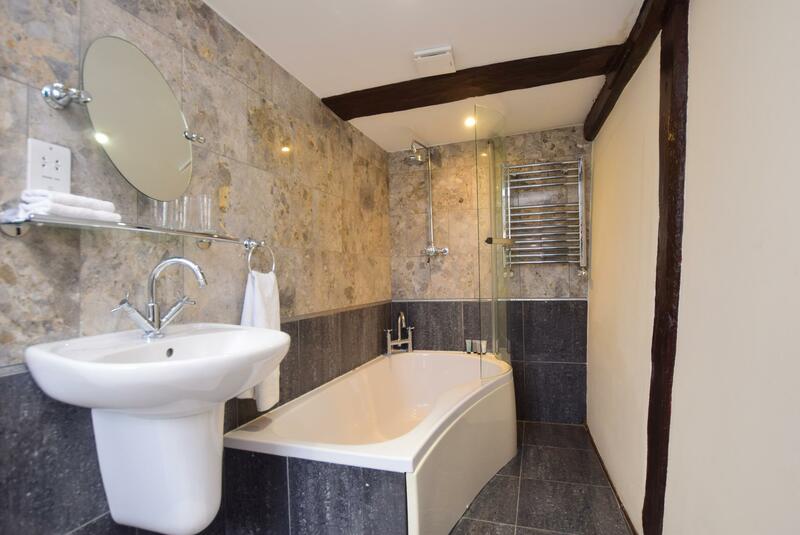 The top floor consists of two suites including a very large double family room with amazing beams, leaded light and arched windows and an en suite bathroom. It also provides charming views down Sun Street and even glimpses of the cathedral. 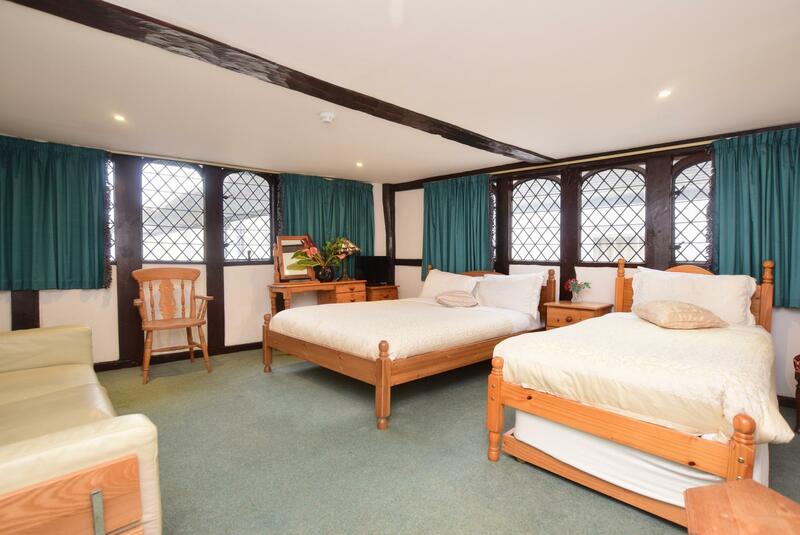 The second double bedroom has a small lounge area together with an en suite bathroom under a vaulted ceiling and includes an original Tudor door. “We bought the property to renovate some 14 years ago with the intention of then selling it on. However we fell in love with the place and decided to run it as a boutique hotel and have thoroughly enjoyed our time here. However we feel that it is now time to hand the reins over to new people who will be able to build on what we have already achieved. 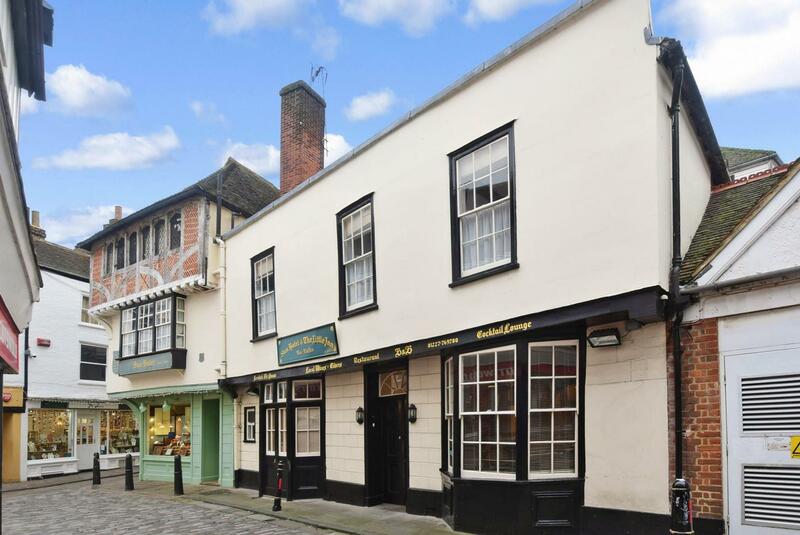 It has always been said that location is the key to any property and if you can add character and history then you have the whole package and nowhere is this better illustrated than with the Sun Hotel in the very heart of Canterbury. It is a wonderful base for any visitors and tourists wanting to explore the delights of the city.